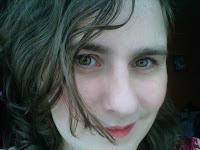 Please welcome UK author Michelle Birbeck to Girl Who Reads. Michelle is 28 and has been reading and writing her whole life. Her earliest memory of books was when she was five and decided to try and teach her fish how to read by putting her Beatrix Potter books in the fish tank with them. Since then her love of books has grown, and now she is writing her own and looking forward to seeing them on her shelves, though they won’t be going anywhere near the fish tank. When she’s not writing, she’s out and about on her motorbike or sitting with her head in a book. Being born and raised in the United Kingdom and writing a book set here, it never occurred to me that my audience might not know what I was talking about. Between America and the UK we all speak the same language, right? Not quite. You say elevator. I say lift (unless I’m trying to sound posh). You say chips. I say chips, too, but when I say it I mean fries. Then I say end terrace, and everyone looks at me blankly. To me, an end terrace is exactly that. It’s an end terrace. So when I was writing my book, The Last Keeper, and wanted to explain the type of house my character lived in, I used this really simple, straight to the point line: A large end terrace was waiting for me in the heart of the city. And then my editor sent it back to me with a nice big comment telling me she had absolutely no idea what I was on about. I can’t tell you how long I sat staring at my computer completely dumbfounded that such a simple phrase had caused so much confusion. How is it possible that we speak the same language, but have no idea when it comes to simple descriptions such as this? In the case of the mysterious end terrace it’s fairly simple. Here in the UK we don’t have as much room as there is in America. So most of our houses are packed in tight; rows upon rows of them. We call them terraced houses. Each house is joined onto the next, with no space between them. The ones in the middle are called terraced houses, and the ones on either end are called end terraces. In America that’s not the case for the most part. There are sweeping amounts of land with plenty of room for lots of houses on their own plots of land. Yet to me, and thus to my English characters, referring to a house as an end terrace is a simple case of that’s what it is. So with a clear divide between our languages over things so simple as food and housing, what can we, as writers, do about it? The first and biggest thing is to be aware of who your audience is. If you’re based in the UK, writing a book set in the UK, being published by a UK publisher, then you might not have to worry so much about these things. It’s all right to refer to monkey’s blood sauce, lifts, car parks, and shops, if your audience is likely to just be based in the UK. The same goes for anyone based in the US. If your audience is primarily stateside, then using references such as condo, parking garage, and elementary school, is perfectly fine. Problems arise when trying to cross the pond from either side, and being aware that your intention is to do so will be a big help. Once you’re aware of your audience, you’ve won half the battle. The next thing is to make yourself aware of the differences. Read books set in your audience’s country and make note of how things are described. Look at the differences between how you refer to something and how they refer to it. The more you know, the better you’ll be able to write for your target audience in a way they’ll understand. The way I tackled this with The Last Keeper was to find different ways of describing things. Like the end terrace. Instead of adding a paragraph of description so my audience both in the UK and US could understand it, I changed the wording. End terrace became town house. Bedside cabinet became bedside table. Both of those examples for my UK audience make sense either way. The alternates, however, make sense to both of my main audiences. It didn’t detract from the story to make those changes, and by doing so expanded who would be able to pick up my book and read it. Which is what we all want, at the end of the day; people to pick up our books and read them. So if you’re planning on writing a novel to span the pond it pays to know your audience and to be aware of the differences. We might speak the same language, but we all speak it differently. Fifteen hundred years ago, Serenity Cardea took the life of the only vampire she ever regretted killing—Henry, her sister’s husband. With her sister brutally murdered, Serenity had little choice but to grant Henry the only request he had: death. Centuries later, Serenity is no closer to discovering who betrayed them or instigated the massacre of her brothers and sisters. The vampires want dominance—over their food, the other races . . . the world. To get it, they’ve systematically hunted down and slaughtered the only ones standing in their way. The Keepers. Then she meets Ray Synclair, a history professor in training with a passion for centuries past, and the harsh reality of her limited time comes crashing down on her. He is her weakness. His mortality is the countdown on Serenity’s life, and with each passing second, it comes closer to the end, for both of them. She must uncover the secrets of her people’s past and find out who betrayed them—and who is still doing so—before it’s too late. Serenity’s days are numbered, and Ray will be drawn into a world of myth and legend, where just being alive is enough to get him hunted down. 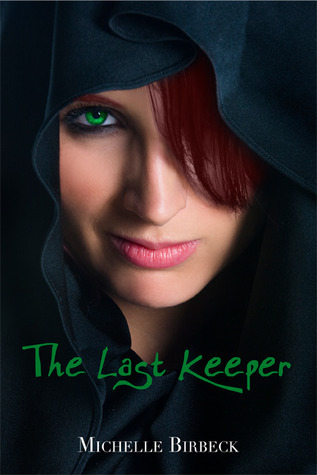 Find The Last Keeper at Goodreads and Amazon. Fun post In Canada we call them town houses - some say row housing. I love figuring out the differences in usage between countries. Punctuation, now, that's a different kettle of fish - no end of confusion. Oh yes! Punctuation and grammar, I think, will always be confusing! Town houses here are a very specific type of house, which, fortunately, most of the housing in question when I was writing happened to be! Had the opening to my book been anywhere but a big city, I would have had to come up with something completely different to describe the house! That's a great example of the differences! As a Brit who lives in the UK but reads a lot of US books, I've begun to notice other differences, such as a higher level of reserve/subtlety in much British writing. I've recently cleared through a big backlog of US books and switched back to UK ones and I'm definitely noticing the differences. It's surprising how many differences there are considering we all speak the same language! I've read several books from the UK and I have found the terminology very interesting. It does sometimes require a little thinking to figure out what the author is trying to say. Donna - thanks. Didn't need to borrow. Found it. I had saved it. It seems to be more of an issue with books written in the UK. Perhaps because here we're exposed a lot more to US language with TV shows ect. Whereas it's not quite the same the other way around. I have read several books from authors in the UK, and Canada and I some times have to pause and think about what the author means. I know its a language thing so it doesn't really bother me and sometimes it makes me chuckle..lol. It's certainly a fine line between writing something suitable for both sides of the pond and writing something set in one country or another. But it really can be entertaining! I feel that I have a pretty good grasp on most Britishisms, but I have to agree with you on end terraces. I probably would have thought it was a patio. Lol! Nope, it's certainly not a patio! We just call them patios, or occasionally decking, depending on what it's made out of! It's certainly been a learning curve seeing all the differences between the two languages! During a marathon reading session one weekend, I read three books in a row that were written by UK authors and took place over there. Going back to reading American books was like dropping into another country. LOL I do enjoy it, though. I love learning about other cultures, even the ones that speak (almost) the same language. I spend quite a bit of time reading American books these days (quite a few of my fave authors come from there), so the terms used are almost second nature to me. But the was I speak and write is completely different. Though if you've ever read any books written by locals set anywhere near Newcastle you might have fun understanding them. Even for me (being abotu 30 miles from Newcastle), it's like they speak a different language! It's certainly an experience!